Quick, easy to use and packed with features, GS Onestop does the hard work for you. Quick and easy to use GS Onestop does the hard work for you. Even when your communication lines are down GS Onestop keeps working. Packed with features required to run your business successfully. Support and Training is available from our highly trained technicians. One System, One Solution, Onestop. Today looking after a workshop requires precision and reliability to help balance the needs of your customers and your business. GS Onestop pulls together all the strands of your business so you get the most out of your working day, every day. 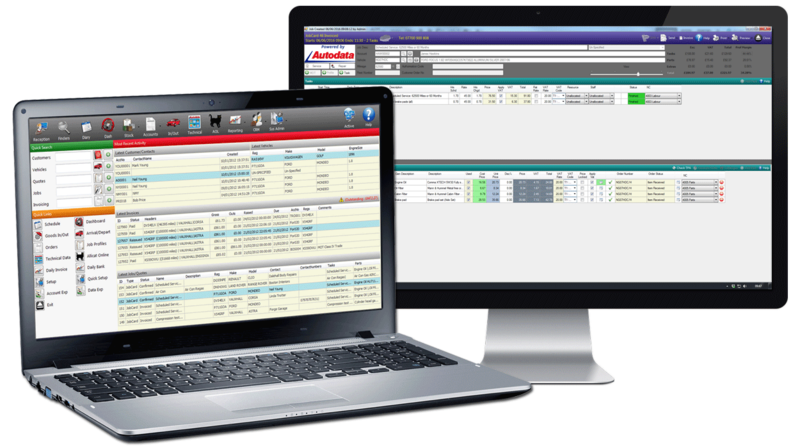 Designed alongside leading workshops from around the country, GS Onestop is an intuitive system that allows you to manage all aspects of your business from Customer Management, Service Scheduling to Parts Look-up and Invoicing. It makes complex operations simple and easy for the modern workshop. GS Onestop will help improve the day-to-day running of your business and deliver excellent service, productivity and profitability.